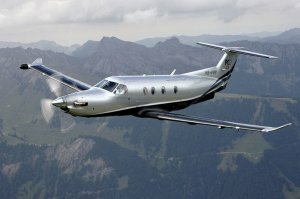 Founded in 1939, Pilatus Aircraft Ltd is the only Swiss company to develop, produce and sell aircraft to customers around the world: from the legendary Pilatus Porter PC-6 to the best-selling single-engine turboprop in its class, the PC-12, and the PC-21, the training system of the future. The latest development is the PC-24 – the world’s first ever business jet for use on short unprepared runways. Domiciled in Stans, the company is certified to ISO 14001 in recognition of its efforts for the environment. With over 1,850 employees at its headquarters, Pilatus is one of the largest employers in Central Switzerland. Pilatus provides training for about 120 apprentices in 13 different professions – job training for young people has always been a very high priority at Pilatus.